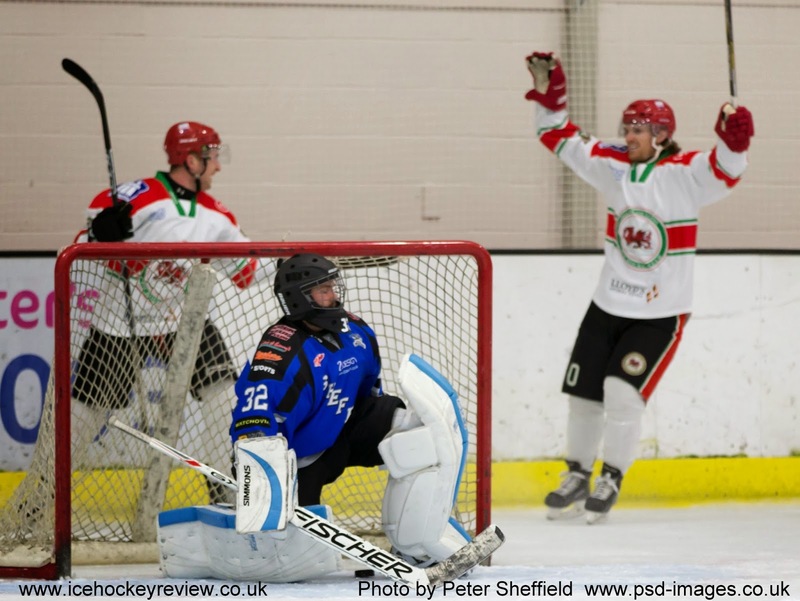 Aside from Solihull Barons who finished the season with 32 wins from 32 games with a 2-5 victory away at Nottingham Lions, Deeside Dragons had the best fortune of the weekend with two wins from their final two matches. They won 3-4 away at Blackburn Eagles on Saturday and then demolished 3rd place Sheffield Senators 13-2 at home on Sunday (see a match report HERE ). Those points mean that Dragons finish in 5th place 8 points adrift of 4th place Widnes Wild who wound up their own league campaign with a 3-10 win away at bottom club Bradford Bulldogs. Senators had won 5-3 at home to Coventry Blaze on Saturday and finish comfortable in second place, 8 points ahead of Widnes and just two behind runners up Telford Tigers. In a season that has been difficult to gauge until now statistics-wise due to so many games having been played for double points, it is interesting to note that only Senators, Widnes and Bulldogs actually played all 36 regular matches while Deeside and Nottingham played 34. Solihull, Telford and Coventry played 32 games each, although the Tigers v Blaze game on 27th December was awarded 5-0 to the hosts as the Blaze were unable to fulfil the fixture. Hull Jets and Blackburn Eagles only played 28 games - through no fault of their own we should point out - just down to the exigeances of various teams trying to squeeze in more games than originally planned for.